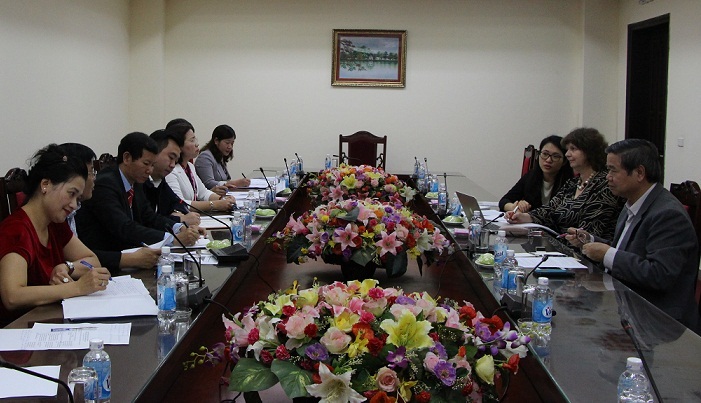 (VNFU Portal) –This morning (March 20th), in Hanoi, Mrs. Bui Thi Thom, VNFU Vice President had a working session with a Deutsche Gesellschaft für Internationale Zusammenarbeit (GIZ) mission led by Mrs. Birgit Kundermann, independent advisor, on assistance in building “Green Innovation Center” focusing on the Cuu Long River Delta. 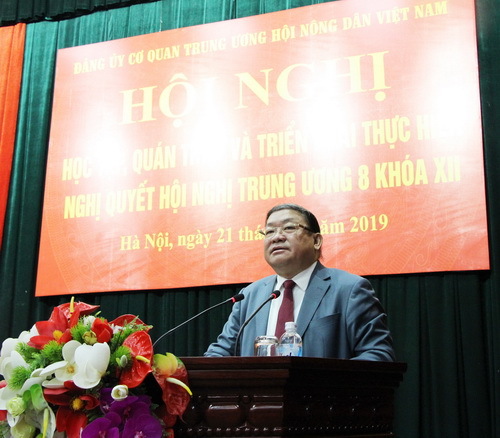 At the working session, both sides discussed about ideas of the project, policy and strategy of Vietnam for agricultural development, especially rice production measures for food security and sustainable development of fruit crops. After the listening to the presentation of Mrs. Bui Thi Thom, VNFU Vice President, on organizational structure, functions and rols of the Vietnam Farmers’ Union in agricultural reforming operation; roles and participation of VNFU in value chain development of rice and fruit crops; importance of VNFU to cooperatives, agricultural cooperative group, Mrs. Birgit Kundermann determined that the funtions, roles and organizational structure of the Vietnam Farmers’ Union are suitable for objectives of the project. 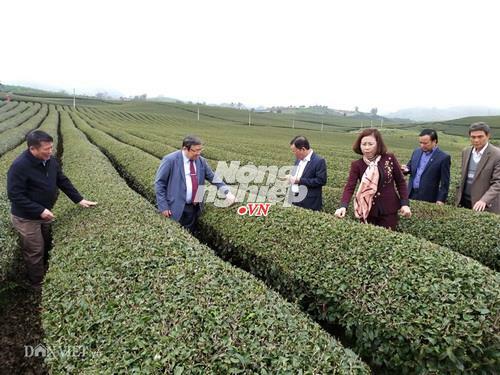 For the coming time, both sides will continue discussing to clarify the cooperation for speeding up the project operation in Vietnam, partly increase the agricultural value chain in a sustainable, safety, environmentally-friendly way and improve farmers’s income. The “Green Innovation Center” project is of German Government policy under “A non-poverty world” global idea framework which have been deployed in 14 countries around the world. 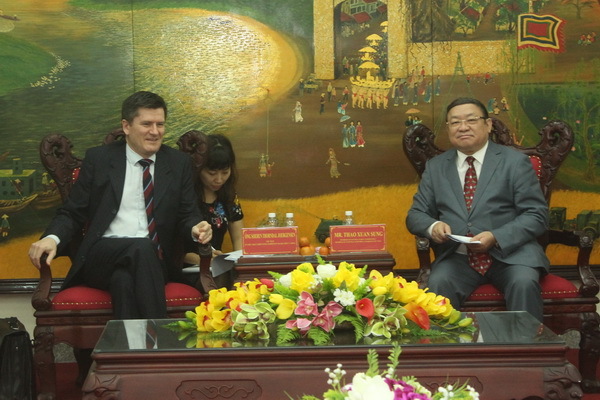 For this project, German government assigned GIZ to be representative agency researching, surveying and evaluating the situation before operating the project in Vietnam.